Good evening, bhouls and ghouls! 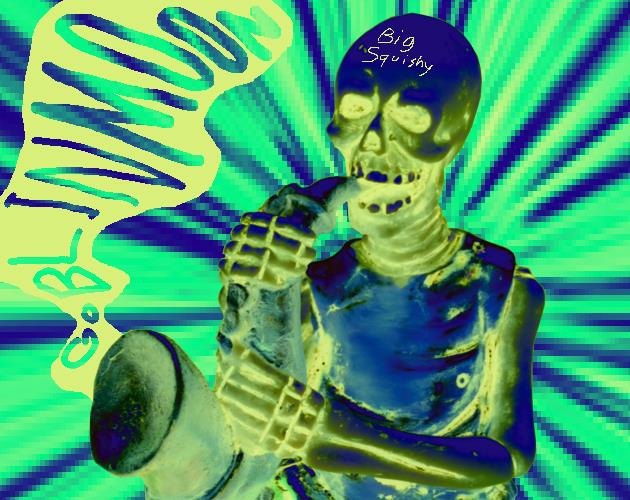 Big Squishy is here with a brand new halloween album and it's about as spooky as any of the other ones I guess. As usual, be careful if you're sensitive to loud or harsh noises. "Half Dog" features Louie Zong's very good lil game Bark Beat as an instrument. It's much more pleasant than the song it's featured in. Cover by Connie. Alt Cover by Bilch.